My first big take away from starting Destiny 2 was that the story makes a fully-fledged appearance in this game. In the first game, it was all but impossible to know why you were bouncing around the solar system or why the wizard came from the moon. 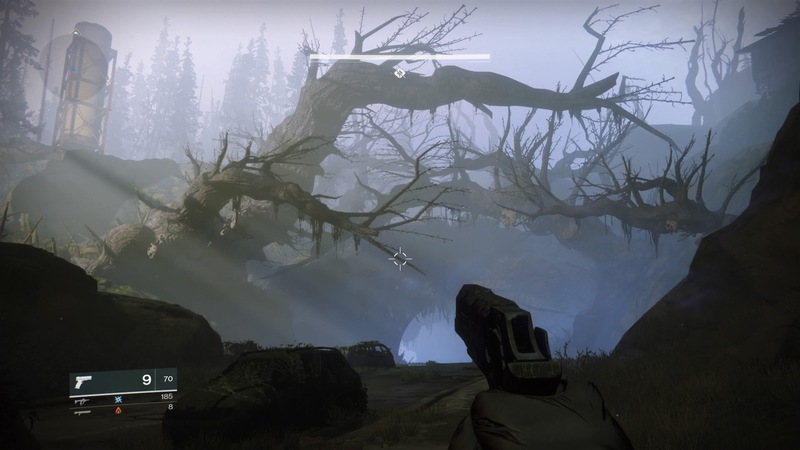 The story works in Destiny 2 thanks to some gorgeous cut scenes during key parts of the campaign, and a sensible revamp of how the campaign is structured from the Guide. There’s a church! I love the European Dead Zone. No longer do you look at a planets map and see a variety of new and old missions cluttering up the view, each new mission is clearly sign-posted and introduced well, whether through a cut scene or chatter from your Ghost. Everything makes sense, and I’m sure newbies to Destiny will understand the plot, even if some of the references to The Traveler and Warmachines might go over their head slightly. I was left slightly disappointed though that the campaign doesn’t spend that much time on the planets of Titan, Nessus and Io. They are generally brief trips in and out for a couple of missions as you work to re-establish a base of operations at The Farm, the social space that replaces The Tower from the first game. Most of the campaign action takes places on Earth in the all new European Dead Zone, an area that does a great job of differentiating itself from the Earth area of the first game. 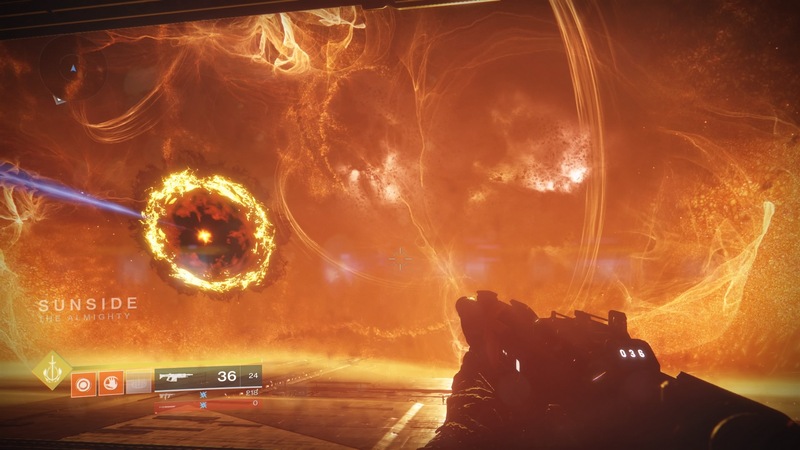 It isn’t just the campaign where Bungie have taken the best bits from The Taken King and revamped them. While on the Guide view, you can tap a button to view your Milestones. These might just be “Reach Level 15 and Complete Mission x”, while others are more far reaching and important to progressing towards the end game of Destiny 2. Patrols won’t open until you’ve completed a mission for Cayde-6 which tells the tell of the importance of planetary Patrols in the lore of the game. Ikora Rey offers you a mission to complete Challenges while playing around in the Earth Defence Zone. Complete this, and a set of three Challenges will appear during everything from random planetary adventures to Strikes and the Crucible. Spooky dark forest…wonder what mysteries are hidden within. Milestones are a great way of keeping you busy with things to do in between story missions as you seek to level up, and once you have finished the story and hit Level 20, the end game activities open. Work your way towards hitting different Power levels through finding new, more powerful loot to unlock Nightfall Strikes, Trials of the Nine and the Raid. It is here that you will be able to start World Quests, a series of small missions that kick off on each planet, then weapons challenges to complete to unlock a tasty Exotic weapon. Then there are Adventures which appear early on during the campaign on each planet. These are smaller side quests that help fill in the broader strokes of the story, and most important, fill in background details on the Scouts that act as your points of contact on each planet. They introduce you to each planet, and act as vendors for some low-level gear. However, for completing activities, including Adventures and Public Events, you are rewarded with tokens that you can cash in with each Scout, once you have traded in enough you receive an Engram containing plenty of goodies. I’ve spent most of my spare time on Earth with Devrim Kay who offers good advice and insight into the wider conflict of the game. Failsafe, your contact on Nessus is an entirely different beast. A half-ruined AI from the Exodus Black, a shi[ which crashed during the Golden Age, she can be ever so grating during most story interactions. While Cayde-6 maintains his entertaining banter, Failsafe feels like Bungie have been trying too hard. That is until you start the World Quest, and you appreciate why Failsafe has gone mad. She’s still annoying, but you appreciate why she has been written as she has. 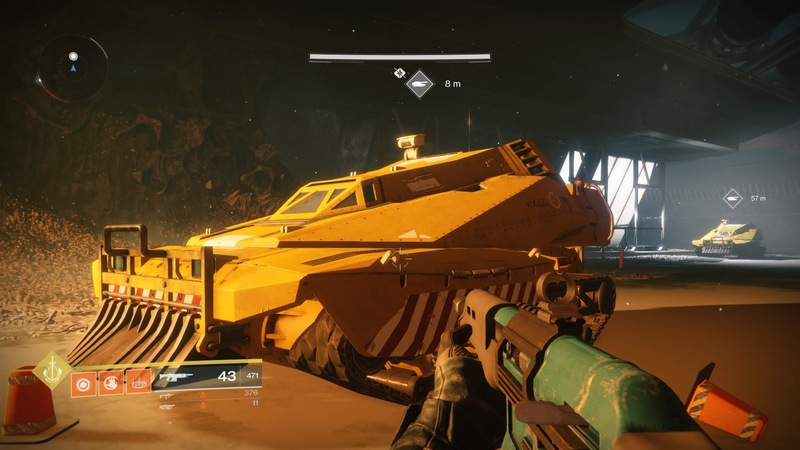 Yes, there are vehicle sections in the campaign. In the first game, I was rewarded with a small handful of Exotics during my entire time with the game. In Destiny 2, I’ve received plenty of Exotics, some of which perfectly match my playstyle. Activities of all sorts reward you with tokens which you take to the relevant vendor, be it Lord Shaxx for Crucible Tokens or Zavala with your rewards from Strikes. It all means that you are regularly unlocking new gear, which, at the end of the day, is what everyone is really playing for. I haven’t done the Raid yet, but I never completed the Raids in the first game. I feel like I’m not good enough to seek out groups to play with, but soon Guided Games will be launching. These will allow nervous wrecks like me to match quickly with those Fireteams willing to guide players through the Nightfall Strike and Raid. Clans are a new feature (why not join us) where members work towards shared rewards. Complete activities as a Fireteam to earn Clan XP, and again, you can earn rewards from another new character, Suraya Hawthorne who along with Devrim Kay adds plenty to the game. A few minor gripes remain though. Crucible matches are now 4v4, which by itself, is perfectly fine and I have no problem with it. In some ways, it makes for better action with less numbers in each battle. It’s just a bit odd that you there is a 4 player game mode here, while all other activities are limited to Fireteams of 3 players, or 6 for the Raid. I appreciate that 3v3 matches would be small, but surely Bungie could have designed Strikes and normal Fireteam activities to work with 4 players? It’s a minor thing, but one that seems more prevalent with the introduction of Clans. My other slight twinge of disappointment comes with the lack of something like the Dreadnaught from The Taken King. Unless I’m missing something, there isn’t a place in the game yet with so much mystery and lore surrounding it. The Dreadnaught had many loot crates which required special tasks that were exclusive to the Dreadnaught to be completed. Yes, Destiny 2 has some great things to do in the end game and Public Events work so much better than ever before, while Lost Sectors provide a nice challenge from off the beaten path…but I miss that ship. Minor gripes aside….this is one hell of a game. 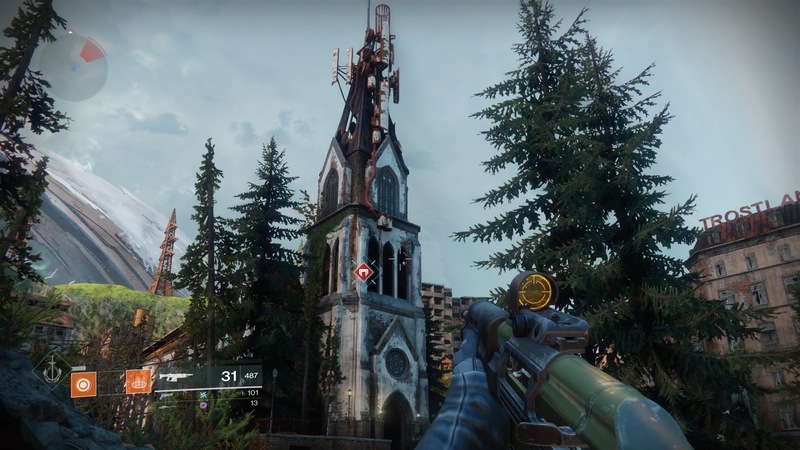 Bungie have learnt from the past, and have crafted a masterpiece. It’s a game that any shooter fan should check out, even if you do prefer playing solo, you will get so much out of it, and I am so pleased for PC gamers that they will be able to dive in and enjoy. Review based on retail purchased copy. Please read this post for more on our review policy.